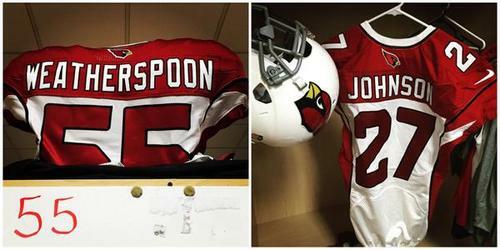 Are you excited to see #AZCardinals LB @SeanWSpoon56 and RB @ChrisJohnson28 play tonight? 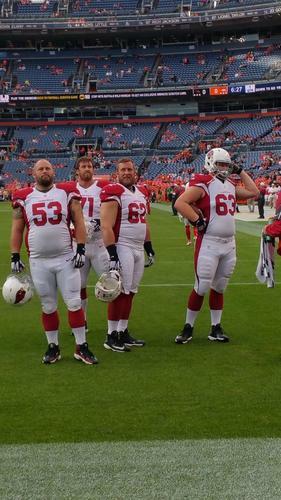 The #AZCardinals Pre Game Huddle continues w/ @CraigAZSports , @DamienAnderson and Rob Fredrickson on @AZSports 98.7 FM. Mariota makes his progressions. Ignores the rush. And finds @HDouglas83 for 83-yard TD. 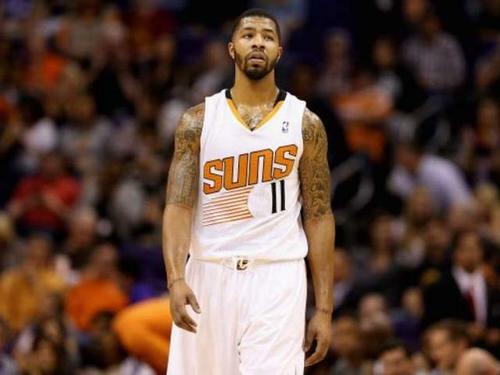 They're suited up, but don't let that fool you. They're not playing. Now that's a lot of beef! 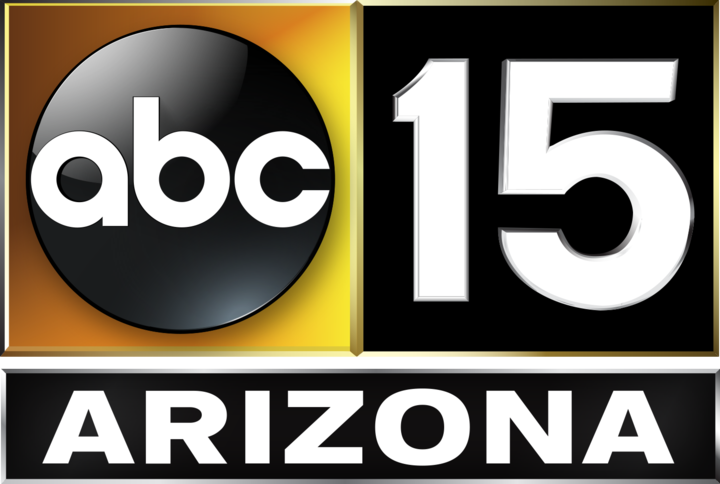 #AZvsDEN TV coverage has begun on @abc15 ! 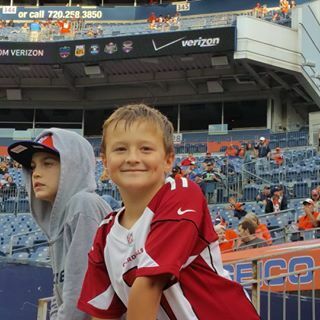 @Jody_Jackson and @wolf987FM will get you ready for the game! 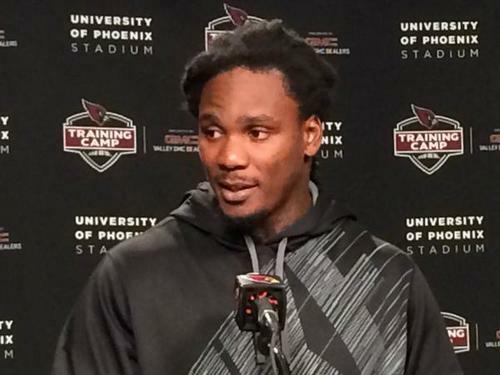 Debate in the @abc15sports office: Is Chris Johnson a lock to make the Cardinals regular-season roster? 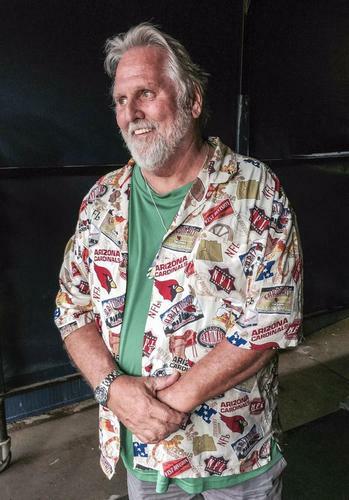 @tomzenner says: Absolutely not. 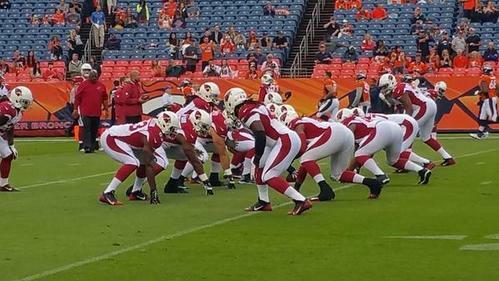 RADIO: #AZCardinals at #Broncos is LIVE w/ @PaulCalvisi , @btrain92 and @DamienAnderson on @AZSports 98.7 FM. 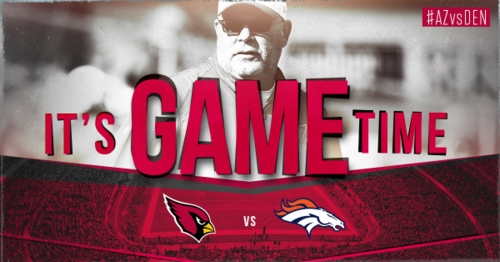 TV: #AZCardinals at #Broncos is LIVE on @abc15 w/ Rich Cellini, @wolf987FM and @Jody_Jackson . 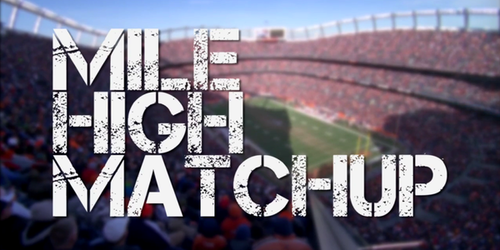 RETWEET if you are excited for #AZvsDEN ! 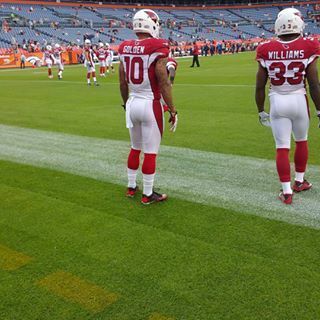 The #AZCardinals win the toss and will receive. 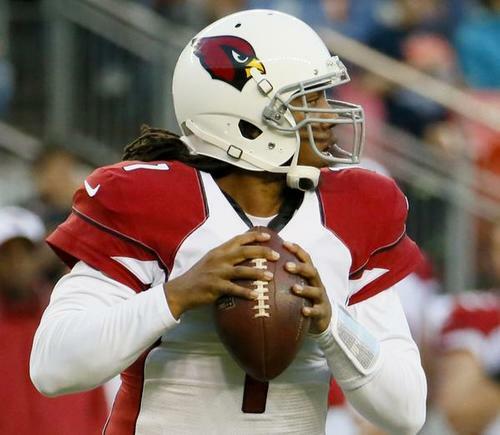 Here comes Phillip Sims and the offense! RB @ChrisJohnson28 gets one yard on his first carry as a member of the #AZCardinals . Nice effort by @ChrisJohnson28 on 3rd and 8. Shook a tackler in the open field after making the catch and gets the 1st down. 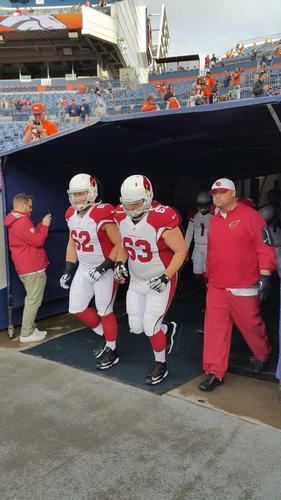 The #AZCardinals drive stalls. 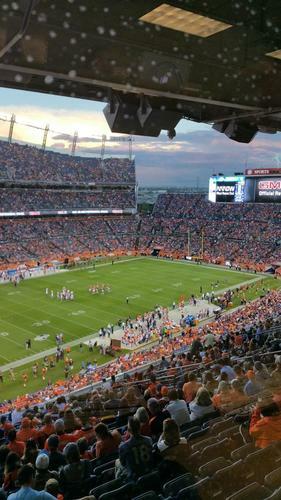 After punt, the #Broncos take over on their own 22. No score with 11:10 left in Q1. The #AZCardinals have a busted coverage and the #Broncos get a 78 yard touchdown pass on their first offensive play.DEN 7, AZ 0. What a great call by the Broncos. Naked boot left....78 yds....TD! The #AZCardinals are forced to punt again. The #Broncos will take over on their own 38 with a 7-0 lead. My view from the Press box. Beautiful sunset in Denver. McManus connects on a 50 yard field goal. 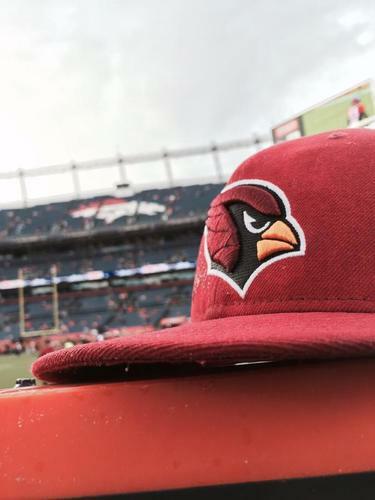 #Broncos 10, #AZCardinals 0 with 4:25 left in Q1. Sims sacked and fumbles. 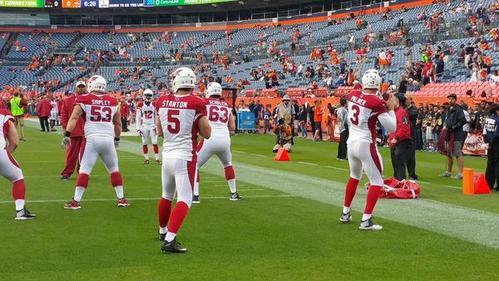 #Broncos recover and take over on the #AZCardinals 7. McManus hits another field goal. 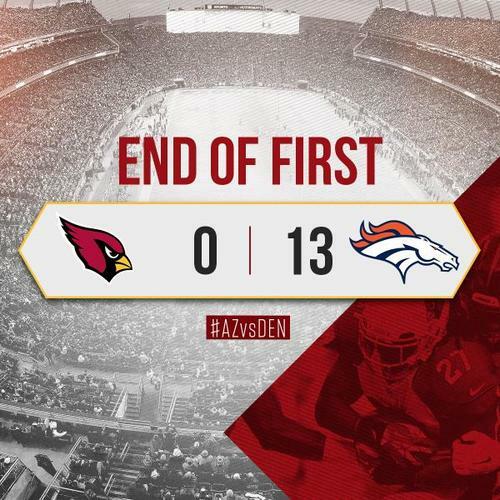 #Broncos 13, #AZCardinals 0 with 1:00 left in Q1. On 3rd and 11, @ChrisJohnson28 gets 16. TE Gerald Christian down after that play.